Project Management and Project Delivery seemingly harmless words; but can run businesses to the ground when gone wrong. It is not as simple as moving from one point to the other or setting a goal and distributing the activities among a set of people and arriving at it happily. If you are one of those Project Managers who thinks things are this simple – you are lucky! Projects are complex endeavors with 100s of moving parts. Pick any project from your experiences so far and analyze. You will find elements like resources, time, budget, milestones, defined deliverables, company direction, change of stakeholders, change of stakeholder requirements, market conditions, competition, acts of nature etc. that need to be assessed and planned for. You miss to account for one of them & if it skews in an unwanted direction your entire project runs the risk of crumbling like a house of cards. And the most interesting thing about these 3 elements lies in the fact that they are controlled, changed and tossed around by the same set of people – most of the times. Let us see how any unplanned changes to these elements impact our deliverables and their quality. 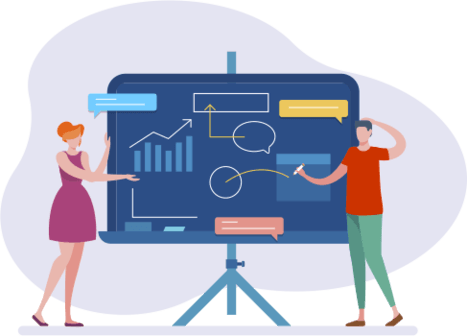 The root of all troubles for any project lies in Scope changes or Scope Creep as commonly referred in a purely project management terminology. The "single source of truth" that pervades and resolves all conflicts! – Ask more and more questions till you are sure you understand your client and stakeholders expectations. Once you have all the above answers, you must proceed with documenting them, circulating them among the stakeholders, decision makers to ensure they understand, agree and sign-off. In addition, to this allow for a few days for your clients and executives to review and request any modifications. But at the same time do assign an "offer expires by date" to add the much needed attention & focus to this binding document. The expiry date triggers a very helpful chain reaction where all stakeholders become keen to ensure 'their objectives' are part of the project scope. Thereby, there is increased participation, debate and Q&A to further refine the end objective and project goals. Do note that the increased participation also means greater stakeholder alignment which is one of the critical success factors for successful project delivery. Having performed the above due-diligence, ensures that everyone understands the deliverables, the time, efforts and cost required to meet the overarching project goal. So far so good! You have done everything a good project manager MUST do. Now, let's get to the devil that lies in actual practice and implementation – say hello to Scope Creep! Scope Creep, simply put is adding new features, altering existing requirements or changing the pre-agreed project goals. They can come in at any time and disrupt your entire project strategy because they require additional resource, time and cost which were not accounted for at the beginning. Typical scope creep come in as minor requests or major overhaul due to a change of business strategy, market demands etc. It is often noted that a seemingly harmless tweak is requested and this one tweak leads to another and another and before we realize we have already shifted away from what was originally intended! And suddenly, there are delays, milestones are being missed, planned costs rise, quality is impacted and customer dissatisfaction starts pouring in. Hence, it is important to understand that no project is free of Scope Creep! They are bound to find their way in to your project. But it is also important to understand WHY? Why do I have Scope Creep? As stated earlier, if enough effort and focus is not devoted to base lining your scope, you have setup yourself for a definitive failure. However despite of the due diligence there are other factors that contribute to a lack of proper Scope e.g. We now have a fair understanding of what is scope creep & what contributes to it. So let us rightly move to explore its impact on our project, project team and reputation of our organization. Consider a very relevant yet hypothetical example of a new iPhone to be launched. At the onset of the year it is decided that the next iPhone would pose a larger screen with a new exterior look. We all know it’s the WWDC in September each year without fail where the products are launched. Hence all project execution and planning is done with that date in mind. Now the project kicks-off everything goes fine and suddenly there is a buzz around removing the standard headphone jack or adding a dual sim slot! What do you think is the impact of these 2 feature changes? These “features” as we refer to bring with them a whole range of research, additional planning and overhauls the execution. Almost everything stops until the exterior frame is finalized. Do not forget the manufacturer involved in making these phones. So the new plan goes like this – research and build ability for the iPhone to host and run the 2nd sim, remove the headphone jack and replace – replace with what??? You get the drill! Think of this – the WWDC CANNOT be shifted; what all is at stake – Money, lots of it! Reputation – one that is hard to earn so easily and must be protected at all costs. So again – Money! Bound to meet the WWDC deadline so add resources, more and more resources. Now, do note that we all are not Apple Inc. and consider what havoc a Scope Creep can cause to our bottom-line, company's reputation and most importantly the confidence and moral of the project team. Demotivated soldiers have never won a war! This is as seen on the surface. Just drill down a bit and imagine how a real workplace with such an activity in progress would look! How to protect your Project from Scope Creep? With the insights shared so far it is pretty evident of what must be done to 'prevent' scope creep. But what about when you are already into it? Let us take a quick look at some best practices or guidelines followed by project teams across the globe to contain scope creeps and yet maintain a high client satisfaction and project success rate. The project Scope is a Project Manager's best friend! The most diligent of PMs live by their Scope Baseline and refer to it for the slightest of activities that may indicate a deviation from what was agreed. Too much communication has never proved harmful! Make sure your clients, decision makers and each individual who has a significant stake in the project and can alter its course are fed a steady stream of progress information. Define a clear communication criteria in terms of frequency of updates, means of updates (reports, meetings) and timing of these updates. This keeps your clients updated with actual status and helps ease any anxiety plus helps build their confidence and trust. Also, when they know they have the right platform & tools to voice their feedback or concerns they would be more vocal and mindful of the timing too to not derail steady progress. Thus any conflicting or contentious issues can be proactively identified and addressed to prevent Scope Creep. We all know an outright rejection or denial of a client's request isn't advisable. And most of the times you may not be even aware of what does a scope change request entails. It might be a fairly simple ask and not impact the scope. The best thing to do upon receiving an unexpected request is to respond with – "Let me assess and estimate the time and cost implications of the requested change". You will easily ward off any client personnel who is neither serious nor committed to the project with these words – assess and estimate! On the other hand if they are serious, they would definitely like to take a look at your assessment and make an informed decision. And if they decide to move forward, you have an opportunity to generate additional revenue and invoke your change management process. Thus, we all are happy! The significance of a robust Change Control process cannot be emphasised enough. You should NEVER have a contract without a Change Process clause! When the change is requested, there is a series of approvals that are triggered. This leads to enhanced attention on the requested changes and the required focus to decide if it is needed at all. - Are we ready to accept the impact – delays, costs etc. Change Control culture allows you to maintain the required transparency & puts you in control! Additionally it demonstrates your forward thinking and professionalism thereby a positive impact on your company’s reputation. Win-Win! Isn’t it? Penalties are an aggressive approach deployed by the client and service providers alike to ensure both hold their end of the bargain. With penalties baked into a contract ensures both parties are always diligent and never lose sight of the goal. Penalties trigger a competition, fierce at times where both strive to achieve the same goal. And it goes without saying, all unwanted and impulsive requests are out of the door right away. Because the primary reason for undertaking a project is to make money not lose it! And hence, they are not considered to be professional in nature. To that effect, let us deploy the right tools as illustrated above and at our disposal to ensure that things never come this far in our projects!